Broadleaf Theatre wins the Fringe Lottery! 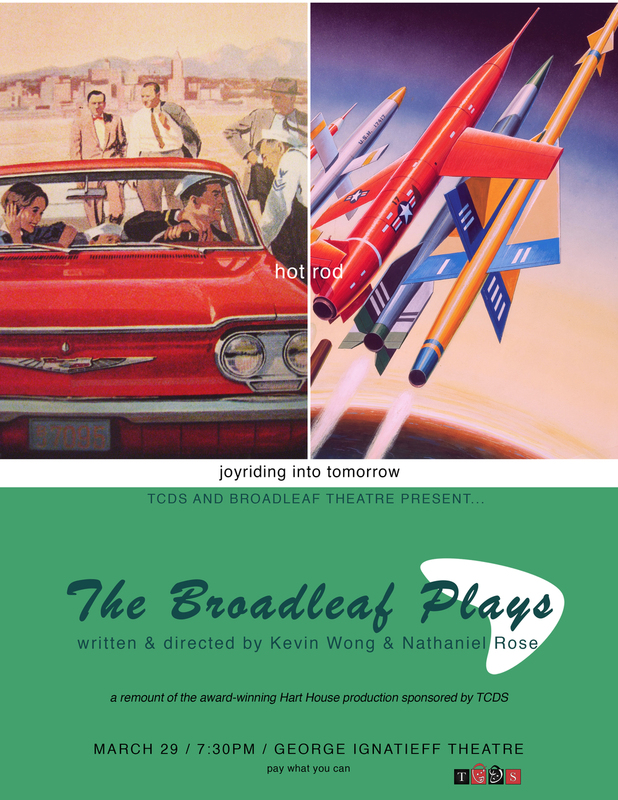 Broadleaf Theatre has officially won the Toronto Fringe lottery and will be bringing a brand new version of their award-winning production The Broadleaf Plays to the 2016 Toronto Fringe. The rapid-fire show features a powerful series of short (sometimes extremely short) plays, each 3-minutes or less, that each tackles a different environmental issue in a fun, immediate and accessible way. The show premiered to great critical acclaim, winning the Viewer's Choice Award and the President's Award for Best Production at the 2014 U of T Drama Festival. The Broadleaf Plays, "environmental issues never looked so cool." 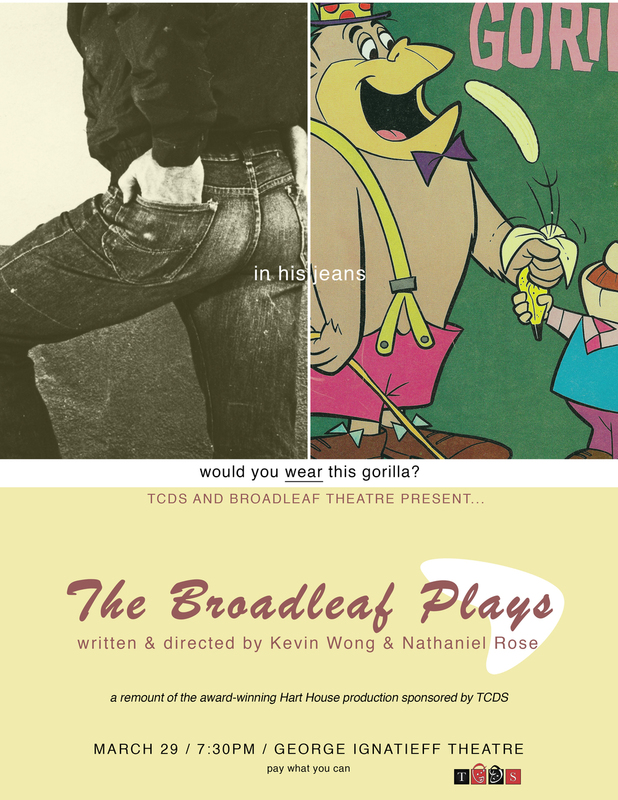 The Broadleaf Plays workshop was generously remounted in April 2014 by Trinity College and the George Ignatieff Theatre. Original poster series by Cameron Jones.